There is no question I buy a lot of beer and attend a lot of bottle releases. Just take a look at the list of beer currently waiting to be consumed (link here) and you will get an idea of the depth of my beer buying problem. This morning I awoke and checked in with Facebook and Twitter as I do most mornings. There were several posts with lots of comments about the lottery style release of Ann a barrel aged saison from Hill Farmstead. I have been waiting for months to learn the details of this release as it is one of the few Hill Farmstead beers I have never tried. I believe the first and only release of Ann was in 2012 and somewhere around 180 bottles were released making this more rare than even Double Barrel Damon. The details of the release can be found on Hill Farmstead’s website (link here) basically you register in a lottery, if your name is drawn you get to purchase a bottle for that given day. You can register once for each day of the release and the total cost is around $55 between the bottle, tax and fee for the lottery site. If you do not win you pay nothing, the small fee for entering is returned to you. If you have ever been to Hill Farmstead, especially one of their bottle releases like the release of Damon, Double Barrel Damon, Flora and Flora Satsuma on 9/26/2013 you know how crowded it can get and the crazy lines that form. My post of that release can be seen here. In an effort not to replicate the crazy lines of that day Shaun decided to do the lottery style release for Ann which I think is great even at $50+ per bottle and here is why. My time is worth something. I have a very busy job, three kids, a wife and all the duties that come with homeownership. If I can enter into a lottery style event, be chosen for a bottle and know that on February 4th I can show up at 11:00, grab my bottle and leave that is a much better solution than driving to Vermont to arrive at 9:00 or earlier and stand in line for many hours for the chance of getting a bottle. I am sure there were many in September that waited for many hours to have the final bottles sold to the people in front of them. Don’t get me wrong I have waited in line for beer and I will again. Each brewery has its own style and bottle/can releases are no different. 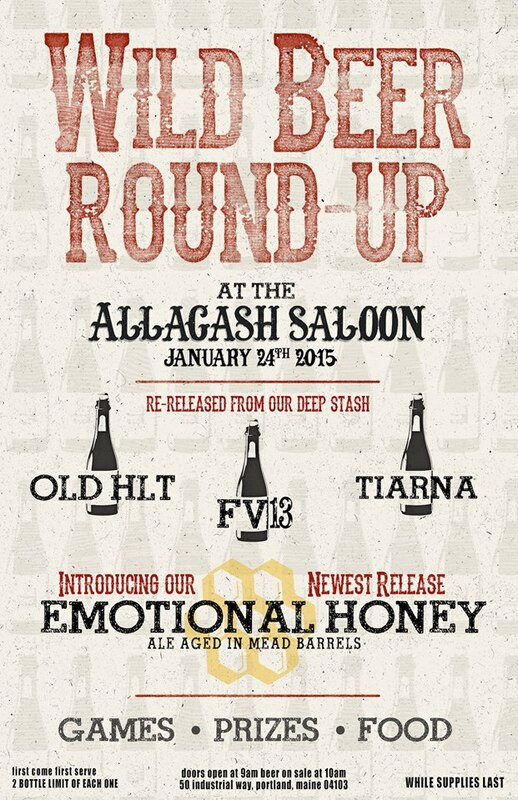 Allagash has an event coming up that I will go to, wait in line to get in and then wait again to grab a couple bottles of their new release Emotional Honey and bottles of some older beers that are making another appearance; Old HLT, FV13 and Tiarna. Allagash does a tremendous job with their bottle releases with lots of games, food and samples. Combine this with lots of friendly craft beer drinkers and you have the makings of a nice Saturday morning. 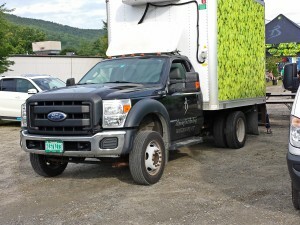 The difference is Allagash has the space to accommodate hundreds of people and while parking is not the best between the parking lot and on road parking everyone will have a safe place to park. Allagash also has many more employees to handle the crowds and make sure everything goes off without a hitch. Hill Farmstead does not have the space or parking for such an event and when they do have an event they rely heavily on volunteers. Coordinating all of this for a weekday bottle release would be nearly impossible. Then there is The Alchemist and their truck load sales. Similar to Hill Farmstead they do not have a space to accommodate a large scale release so they do it in a public space in Waterbury. I have only been to one but it was lots of fun and you can read more about the trip here. I was in line at 6:40 for a sale that started at 9:00. There was a food truck, a band and again lots of great craft beer drinkers to chat with and pass the time. There is no perfect way to release a beer. You have the retail version with the Bourbon County craziness on Black Friday, the draft only version with Pliny the Younger at Russian River and select bars, the brewfest version that almost ended in a riot at Cigar City’s Hunahpu Day in Florda and countless other beer events across the country with demand that far outweighs the availability of the beer. In the end breweries have to do what works best for them. 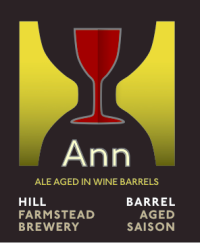 For Hill Farmstead, at least with Ann, that is a lottery system and for others it means lines of craft beer fans waiting and hoping the beer lasts long enough for them to score a bottle. If the beer is good than I want to try it. If the beer has taken years to craft; brewed, aged, blended, bottled, aged again than I will pay more for it. I have yet to be disappointed by a beer from Hill Farmstead or Allagash or The Alchemist and when you have a reputation of creating exceptional beer the beer buying public will pay. I don’t think any of these breweries are pricing their beer artificially high or limiting production to increase profits. Space and time are expensive which causes beer to be expensive. Yes there are plenty of great craft beverages out there that are less expensive but you are not going to be drinking $50 bottles of Ann or $15 – 375 ml bottles of Allagash’s Coolship beers everyday. It is a luxury item, a special treat and one that I am happy to pay for. Is the beer worth $50+, I don’t know but I hope to find out. I will be submitting a lottery pick for each day, if I am chosen for a bottle then I will gladly pay the $50+ drive to Vermont and pick up my bottle of Ann. If the planets, stars and cosmos align and I am lucky enough to have my name drawn for more than one day than I will make multiple trips and tuck one away in the cellar for a special occasion. 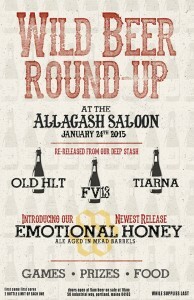 I will also be at the Allagash Wild Beer Round Up waiting in line on a cold January morning in Maine and if my schedule and time allows I will attend future truck load sales at The Alchemist. Chances are better that you will find me at one of the many other breweries that are making exceptional beer in Maine, New Hampshire, Vermont or Massachusetts. Cheers to all and feel free to share your comments below or on Facebook and Twitter.